Catherine has, from a very young age, felt a deep connection with the healing energy of nature and is the designer of the Balanced Energy Vibrational Medicines. She is particularly interested in studying ancient healing traditions and adapting this deep and timeless knowledge to make it relevant for a modern life. She enjoys sharing her knowledge of physical and energetic practices with others to facilitate a deeper understanding of their emotional and physical place in the world so that they can feel connected and create harmony in life and work. 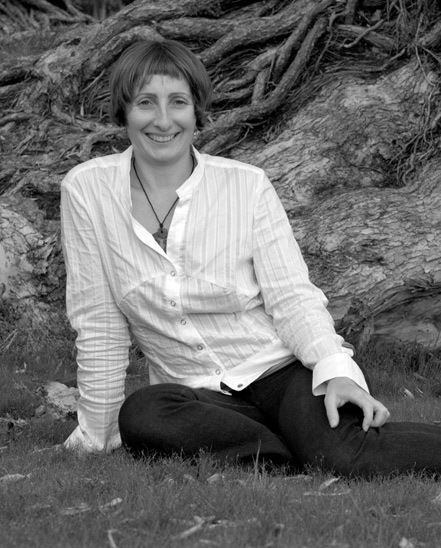 Catherine has 20 years’ experience running her own private healing and natural health practice in London, Bristol and at the BE Spa on Waiheke Island, in Central Auckland and on the Whangaparaoa Peninsula in Auckland New Zealand. Catherine is a fully qualified, 500hr, Level Two Yoga Teacher and Yoga Therapist trained by Swami Shantimurti Saraswati (a direct disciple of Swami Paramahansa Satyananda of Bihar, India). Her Yoga studies are ongoing. Catherine trained as a healer in London at the Academy of Eternal Light over a 10 year period, gaining a teacher qualification as a Gaia Master Teacher. She has a Diploma in Vibrational Medicine with the College of Vibrational Medicine, London. This is a two year course primarily in the making and use of flower, gem and crystal essences and includes modules on homoeopathy, TCM, counseling, crystal therapy, art and colour therapy, anatomy and physiology, codes of conduct for practitioners, group work and supervised case studies. Catherine also has a Certificate in Working with People with Cancer through the Penny Brohn Centre in Bristol. This is a one year course aimed at teaching health professionals how to understand and work with cancer patients whilst utilizing the best of Medical and Holistic practices. While living in Bristol she worked for natural health company Neal’s Yard Remedies www.nealsyardremedies.com in their dispensary and shop, as an in store trainer, in management and practicing as a consultant in their clinic. During this time she also participated in many retreats and Earth Healing journeys around Europe and North Africa and organized boutique, spiritual tours of British Sacred Sites. Previous to being a therapist Catherine worked as a chef in New Zealand and London (for Peter Gordon amongst others), and has a certificate in Natural Nutrition, bringing her love of delicious food and healthy eating together to create individualised healthy eating programmes for clients. She has also worked for Theatre and Rock and Roll production, has 26 years of experience as a dancer, performer and trapeze artist for theatre, television and festival, and has studied dance, gymnastics, yoga and martial arts since the age of 8.